I happen to win a few bottles of the Cardiac Crusher Brewery’s Citron Hefeweizen a few weeks ago and told Joe I would give it a proper critique. After one of my longer runs last week I sat down to enjoy one of them. 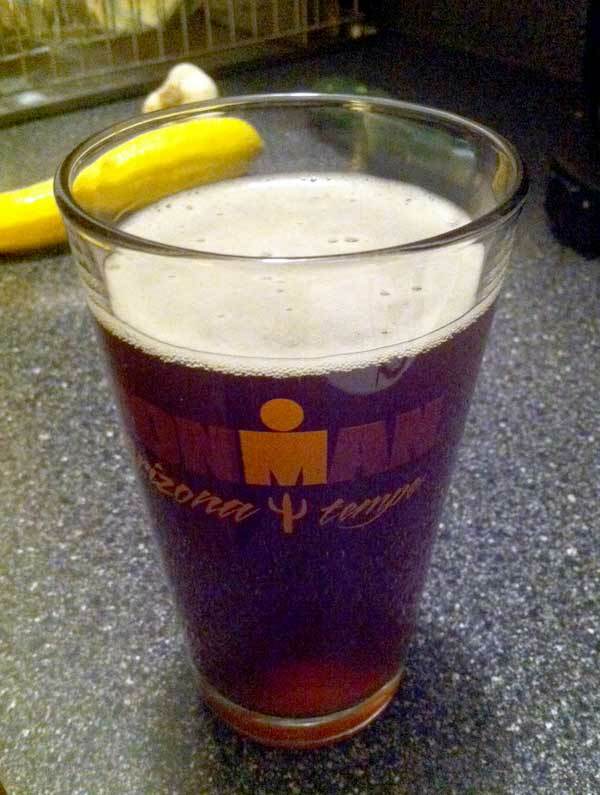 To me, one of the most enjoyable things after a hard sweaty run is an ice cold beer. Such a reward. The Citron poured with a sweet aroma, similar to that of a root beer, with a reddish brown hue. It looked delicious. It certainly tasted delicious too! I was expecting a lighter hefeweizen, similar to a Hoegaarden, but it was richer in flavor. It reminded me of my favorite beer, Schneider Weisse! I would definitely drink this again and even purchase it in large quantities! Hats off to the Cardiac Crusher Brewery. 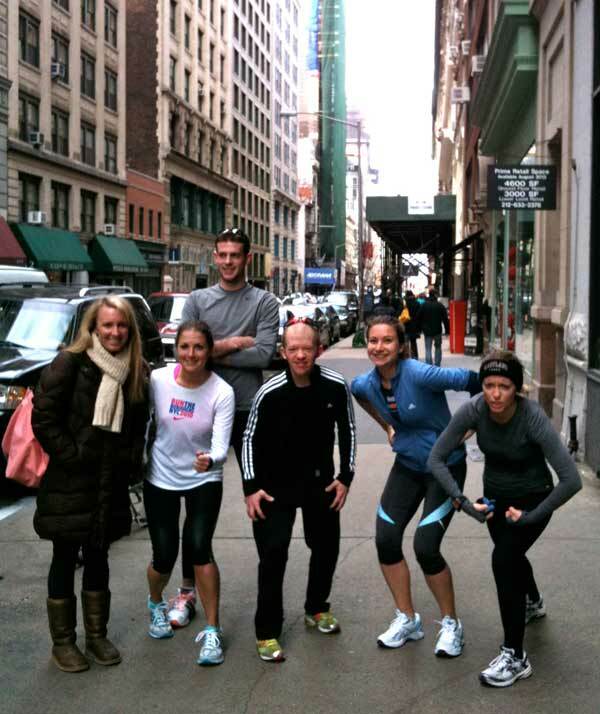 I’m happy to say the New York Rogue Runners ‘E’s Run to City Bakery’ was a success. 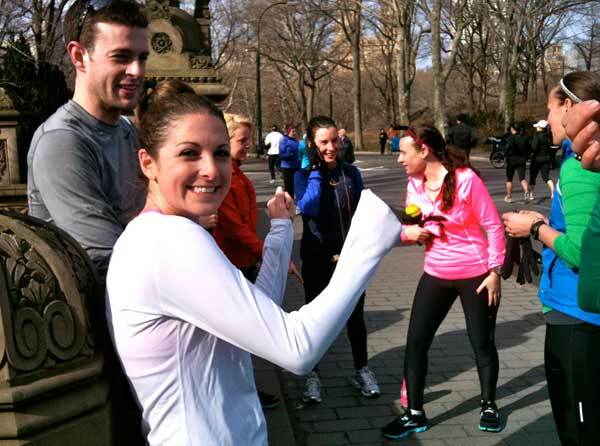 We had 15-20 runners assemble in Central Park and make our way down to City Bakery by way of the West Side path. It was great company and a lot of fun! (Banana Hot Chocolate? Insane delicious!) This weekend is the New York Hot Dog Challenge which I am thrilled about. If you don’t want to take the challenge, come out and spectate. I had to do 5×1200’s on the track at a 5:50 – 6:10 pace with a short 1/4 mile break between. I knew I was in for a hurting. As I started the first interval I felt fast, but internally my body was like “Whaaaaaaaaat?” I thought I might just do one interval and call it quits, blaming poor eating the night before. Then, as I finished I did my lil 1/4 Mile jog and thought, “Okay, one more.” After the second I said the same thing and it kind of went like that until I just finished up the intervals. I felt like I was dramatically slowing down each time, but I actually held the pace I was scheduled for. Sweet. Here are my splits. You can see me starting to fade. When I was done I was really happy I didn’t give up on myself. I was also not attacked my werewolves. It was a full moon and quite desolate out there by NYC standards and I kept thinking I would be attacked by were wolves right as I was getting tired and couldn’t escape.